I have missed you! I have missed this humble blog! And I have also missed watching movies that just cry out for your attention! But I can address these issues to some degree this evening! 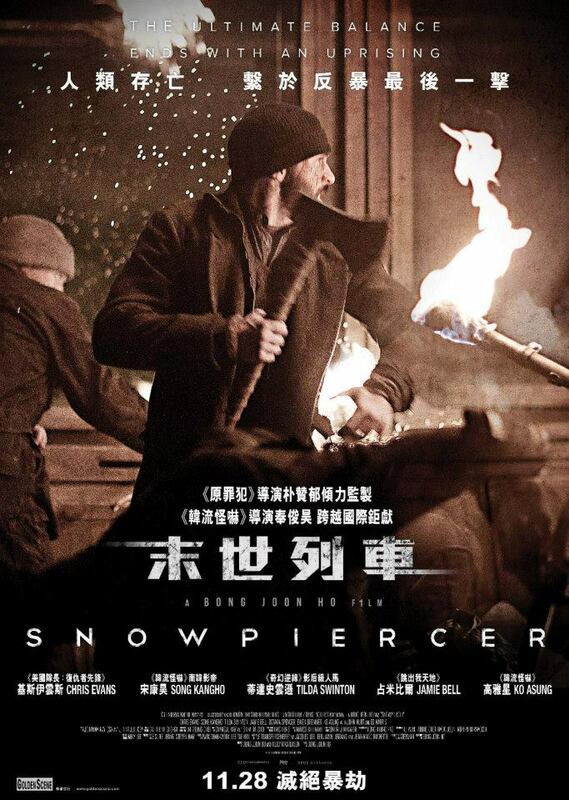 It’s all thanks to Snowpiercer. This movie is the best sort of bonkers, Frank. Directed by Bong Joon-ho, a Korean director who also made the really delightful The Host (starring Doona Bae from Cloud Atlas! ), it’s pretty easy to distill to its core plotline: It’s the apocalypse and every human still alive now lives on a train.